The inadequacy of Internal Auditors in the health sector has been partly blamed for the high financial dishonesty. Director of Internal Audit at the Ghana Health Service, Kwabena Hemeng-Ntiamoah says out of the over 500 public health facilities in the country, only 183 have Internal Auditors, making it difficult to ensure strict compliance to due processes. He was speaking to journalists on the sidelines of the inauguration of audit committees for 16 hospitals and health facilities at Koforidua in the Eastern region. Ghana's Health Sector is estimated to lose about $500 million every year due to revenue leakages, waste, fraud, corruption, diversion of resources and accounting irregularities. The canker is debilitating against quality healthcare delivery in spite of relatively high investments by governments. The Internal Audit Committees work in accordance with Section 87 of the Public Financial Management Act, 2016 (ACT 921) while supervising complaints of both internal and external audit reports. Mr. Hemeng-Ntiamoah is convinced government can resolve the problem by hiring more human resource. The Regional Internal Auditor, Jones Augustus Appiah, said the Internal Audit Unit in the Sector must be decoupled from the Health Service to enable them to operate independently without fear of victimisation. He explained that the Internal Auditors group had recommended to President Akufo-Addo to ensure that the Internal Audit Unit of the Public Institutions is placed directly under the Finance Ministry. He, however, urged the committees to work diligently according to the ethics of the work. 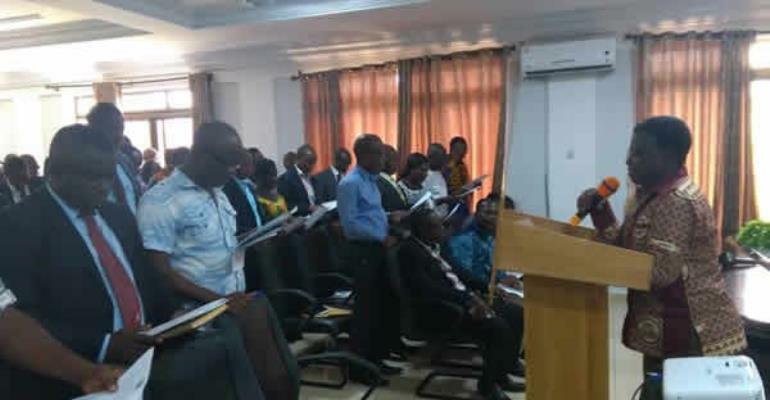 Deputy Eastern regional minister Samuel Nuertey Ayertey called on the members of the Audit Committees to be firm, sincere and honest in their duties. Mr Ayertey urged the members of the committees to be very professional and handle all information that they come across in the discharge of their duty with the confidentiality that it deserves.